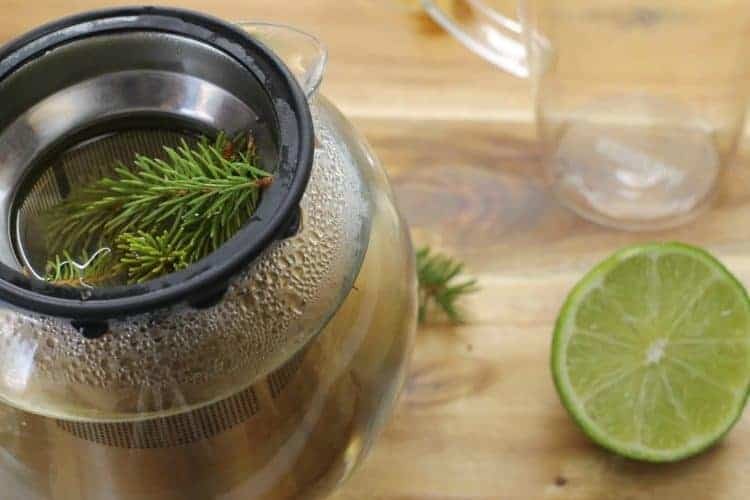 A simple wild foraged herbal tea, spruce tea can be enjoyed year round, and is a great natural source of Vitamin C. Learn how to identify various evergreen trees, and how to use them in teas with this simple guide. Being able to use the resources the earth provides us is a big part of what Earth, Food, and Fire is all about. Everything we need to survive and thrive is naturally provided to us… if we know where to look of course. Being able to grow a garden for your own produce or growing herbs indoors is a great skill to have. On the other hand, foraging for wild food can be just as rewarding, and in certain situations even important. It’s an aspect of cooking that seems to have been forgotten along the path to modernization, yet it plays such in important role in food security for so many different cultures and communities worldwide. With new types of fruits, vegetables, and other plants being hybridized and created through horticulture every year, it’s easy to forget about the edible plants growing right in your own backyard. This spruce tea recipe is an ideal example of using what the natural world provides for us right at home. Spruce, Fir, and even Pine trees are all edible plants and have a long history of being used as medicinal ingredients in traditional medicine. All of these conifers are exceptionally high in vitamin C and even contain some vitamin A as well as other beneficial compounds. 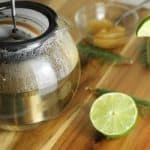 Drinking tea made from the needles and twigs will prevent scurvy in survival situations and was regularly used by Native Americans as a decongestant, remedy for bronchial infections, and even rheumatic ailments. The inner bark of the trees can be dried and ground into flour and used to thicken soups or incorporated into various breads. While all three types of conifers may be used to brew tea, they all differ slightly in flavor and woodsy-ness, with Pine being the strongest in flavor and Fir the mildest. I find Spruce tea to be the ideal middle ground with a light citrusy earthy note. With a teaspoon of honey and wedge of lime, Spruce tea really is quite delicious. The most important aspect of foraging and eating wild foods is being able to tell the different species apart. Spruce, Pine, and Fir are all fairly similar and you don’t need to fear being poisoned picking one over the other when making your own tea. While the evergreen needles do make a delicious woodsy beverage and may be consumed with no ill effect, pregnant and breastfeeding mothers should avoid drinking it, as it can induce miscarriages and early labor. Eating the needles raw can also cause stomach cramps and indigestion and is not encouraged. 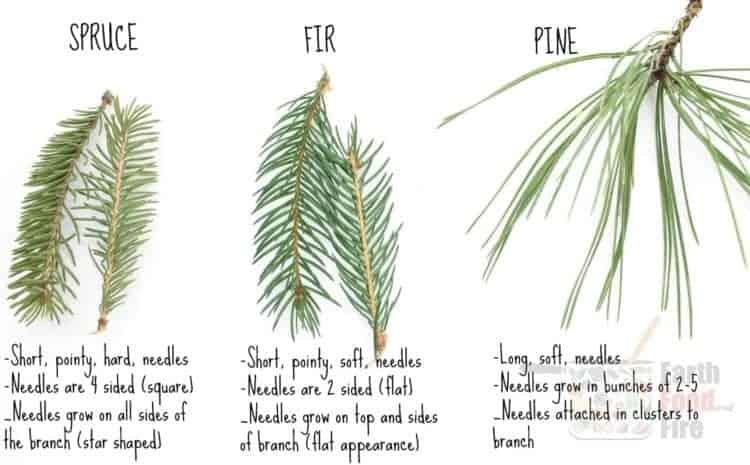 The easiest way to identify and differentiate between Pine, Spruce, and Fir is by the needles. One of the biggest differences from pine is that Spruce and Fir trees have short needles that are pointy and are attached individually to the branch. Fir needles are softer, flat, and do not grow out from all sides of the branch as spruce needles do. Spruce needles are short and pointy, but are stiffer then Fir and four sided. Spruce needles also grow from all sides of the branch creating a round star shaped effect. Evergreen needles can be harvested any time of the year, much like rose hips and chaga are available year round, but the most tender sprigs are harvested in the spring. During Winter when wild foraged food is scarce, older needles will do, though they will have a stronger and more bitter taste. In the spring when trees start producing new growth you can pick the little bright greens buds of needles and use them to make tea as well. This new growth will have the highest concentration of vitamin C and can be almost sweet in flavor. Spruce and Fir tips can be blanched (and even pickled) to be enjoyed as an addition to salads. Once you have your Spruce needles harvested, take them home or back to your campsite and rinse them with some clear water. This removes any insects that may be hiding in between the needles. Trim the twigs to a manageable size appropriate for your teapot and set them aside. You can even pick the needles themselves off the branch for an even milder tea, as the woody, sap filled branch can add a bitter flavor. The choice is yours. Bring a pot of water to a boil in a kettle or over the fire and once boiling pour over the Spruce needles. You will immediately smell the light woodsy aroma coming from the pot. 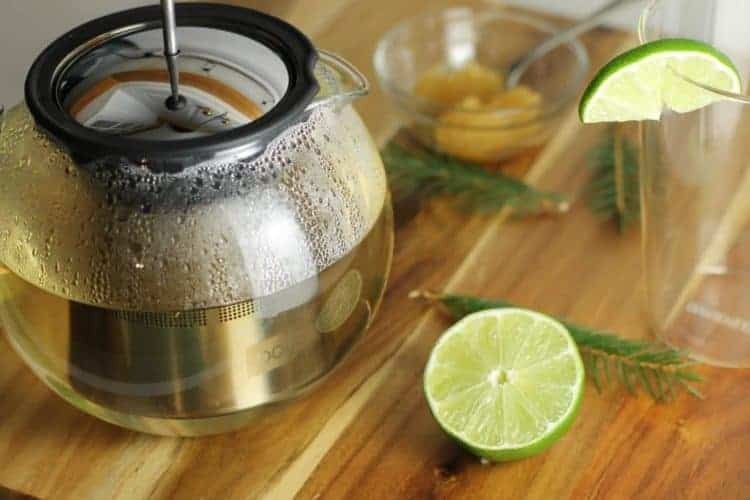 It’s important to avoid boiling the spruce directly in the pot and instead steep the twigs and needles as the extreme heat created through boiling will destroy the vitamin C.
Let the tea steep for 10 to 15 minutes and then adjust the flavor with a little raw honey and some lime. It’s the perfect beverage to enjoy out in the woods while on a hike or inside on a cold Winter day. The high concentrations of vitamins, (particularly Vitamin C) makes this the ideal tea to help beat colds and flu. Now you may be wondering why is the tea so clear? This is normal, since as the tea steeps you are extracting vitamins and minerals from the needles. The needles have very little pigment in them and do not color the tea. If you let the tea sit for any amount of time it will start to turn a deep amber color as it begins to react with the air around it. A simple wild foraged herbal tea, spruce tea is loaded with Vitamin C and is a great drink to enjoy on a cold winters day. Steep the spruce needles in hot water for 10 to 15 minutes. Adjust flavoring to taste with the honey and fresh lime. Some of the links in this post lead to affiliate sites through which Earth, Food, and Fire may earn a small commission (at no increased cost to you) should you make a purchase. This allows us to stay online and keep creating awesome content! For more info check the Affiliate Disclaimer. All recipes, and opinions are 100% my own. 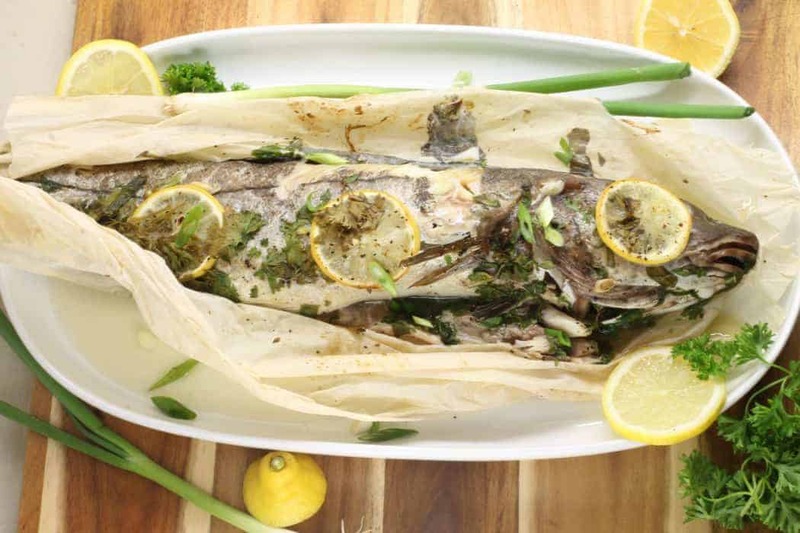 After having completed his Diploma in the Culinary Arts at the Nova Scotia Community College in 2010, Chef Markus Mueller went on to complete his Red Seal in Cooking a year later. 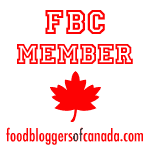 While working as a cook, and later as a Sous Chef in various fine dining establishments on the East Coast of Canada, he completed a three month apprenticeship in Switzerland. Upon his return to Canada, Chef Mueller founded Earth, Food and Fire to pass on everyday cooking skills and encourage others to eat real, from scratch foods at home every day. Please note : We are a participant in the Amazon Services LLC Associates Program, an affiliate advertising program designed to provide a means for us to earn fees by linking to Amazon.com and affiliated sites. This is such a cool idea- thank you for posting about this!! I’ve been wanting to explore the world of wild harvesting, but didn’t have the knowledge or the location (I live in Montreal) to do that. I definitely think this is a good start 🙂 Also, could you please share your knowledge sources? I would like to read more on this! Your welcome! It really is an easy and safe recipe to start your foraging adventures with! Mushroom picking in comparison is a whole different ball game where you can get seriously sick if you make a mistake. The ‘Field Guide to Edible North American Plants’ is a great start as referance material. You can find a link to the amazon listing for the book at the bottom of the post! Alot of the information in this post in regards to identifying the various conifers, is my own knowladge I learned spending countless hours in the woods of Nova Scotia with my father. Wow, I have learned something new today ! I would love to give this a try ! I have a friend who is really into natural remedy and loves tea at the same time. I will for sure share this with her. I think it’s a good Science lesson for my kids too ! Wow! These are thing my little brother would talk about at length growing-up. He obsessed over Survivor Man, Into the Wild and the other brave souls who said goodbye to community and lived off the land. When backwoods camping, he, even at 10 would boil up a concoction that we just KNEW was safe from him triple checking all the guides and books he brought along. I will be sending him this post and get his thoughts on it. I’m an avid tea drinker so I must try this out (as well as the pine and fir versions. Thank you for the history and botany lessons as well! I’d love to know what you think of the different variations once you try them!